Beautiful and elegant, this red velvet stocking will look striking in your home, decorating your fireplace mantel. 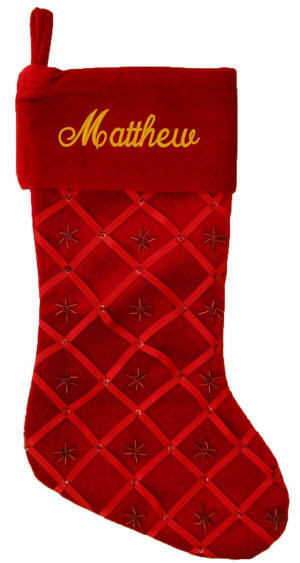 The body of this Christmas stocking has a criss cross of red satin ribbons, held in place with a red sequin. Between the ribbons there are red beads. 18.5 in. The cuff measures 7 1/2 in. 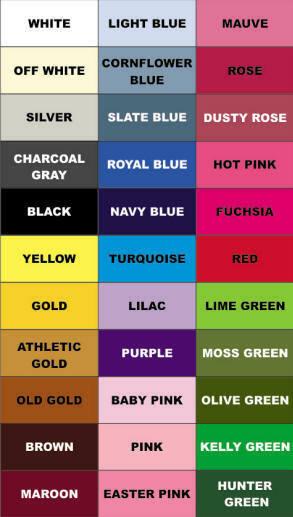 A coordinating gold stocking is available. We monogram an embroidered name on the fold down cuff. Fully lined. Velvet back.